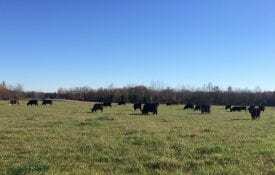 Many mineral options are available for cattle producers. Proper nutritional management is critical for stocker cattle because these cattle are often stressed after being transported and will likely have low water and feed intake during the first few days after arrival on the farm. 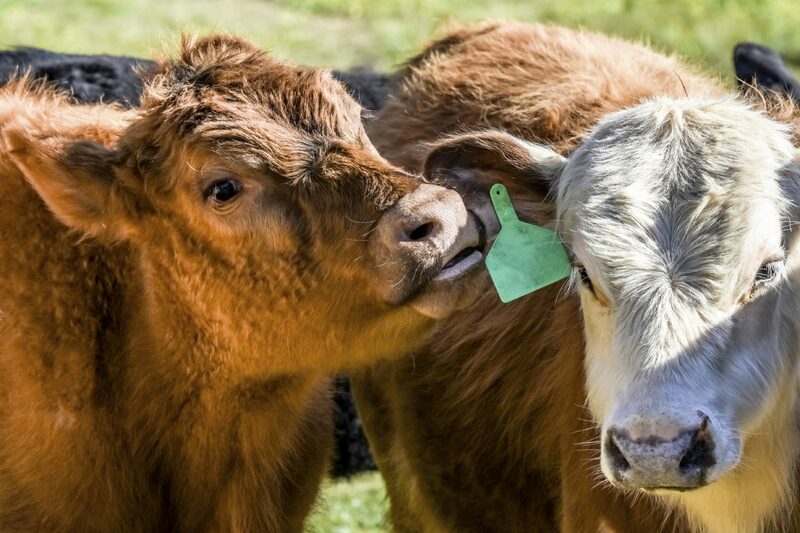 It is important not only to consider forage and feed options during this time but also to consider mineral supplementation to ensure that cattle receive a complete diet. This step is critical because the immune system of newly received stocker calves can be compromised, making them more susceptible to diseases. Both previous and current nutrition play a role in these risks faced by stocker cattle. Getting calves started on a high-quality receiving diet, often consisting of free-choice hay and a well-designed energy-protein supplement, along with a mineral supplement should help prepare cattle for the next phase of the development program. Two classes of minerals are required by cattle: macromineral and micromineral (table 1). Macrominerals, or major minerals, are those required in amounts greater than 100 parts per million (ppm) per day and include calcium, magnesium, phosphorus, potassium, sodium, chlorine, and sulfur. Microminerals, or trace minerals, are those that are required in amounts less than 100 ppm per day and include chromium, cobalt, iodine, iron, manganese, molybdenum, nickel, selenium, and zinc. Microminerals important to pay attention to include zinc, copper, and selenium. Zinc and copper oxide or sulfate forms can be fed; however, the oxide forms of these minerals are not very bioavailable and should be avoided. When these minerals are chelated (or form a complex) with an organic form of sulphur, ammonia, or protein, they are more available to the animal. Zinc has been shown to reduce morbidity in calves suffering from bovine respiratory disease (BRD) and assists in improving immune response. There is limited information on the effect of copper on cattle morbidity, but there is a tendency for reduced cases of BRD and number of treatments for the disease. Watch out for copper deficiency induced by molybdenum and elevated dietary sulfur. The primary cause of copper deficiency in the Southeast is due to a deficiency in diet, primarily consisting of grazed forages. 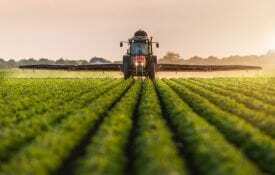 However, occasionally, diet and water sources high in sulfur or molybdenum (Mo) can interfere with copper absorption and cause deficiency issues. This deficiency can affect the immune system and make cattle more susceptible to disease. Selenium is often supplemented because of its interrelationship with vitamin E. Selenium functions in enzymes that act as antioxidants, which give it similar biological functions as other antioxidants such as vitamins E and C. Stressful conditions, such as shipping, can demand a greater level of antioxidant activity. Salt is included in mineral supplements to control consumption level. Many trace mineral supplements contain salt to encourage cattle to consume them because cattle do not typically consume trace minerals alone. Trace mineral supplements are usually formulated to limit intake to between 2 and 4 ounces per day. Consumption levels may vary according to time of year. Cattle will eat more salt-containing minerals during the summer months and less during winter months. Check mineral supplies frequently to ensure that minerals are always available to cattle. A variety of additives, such as ionophores and vitamins, can be included in mineral supplements. Ionophores (e.g., monensin, lasalocid, and laidlomycin propionate) are a class of antibiotics fed to cattle. 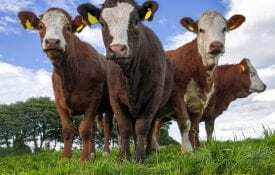 a medicated ingredient, but they do not require a Veterinary Feed Directive for use in beef cattle feeds unless in combination with a medically important antimicrobial. Vitamins are also important when selecting a mineral for stocker cattle. B-vitamin supplementation can reduce morbidity, increase gains, and improve feed efficiency in stocker calves; however, this depends on consistent feed intake. Vitamin E can also be supplied in mineral mixes (100 to 400 IU) and can improve performance and decrease morbidity in stressed calves. The mineral composition of feeds and forages varies greatly and should be tested to get an accurate estimate of cattle needs. Take care to ensure a minimum calcium-to-phosphorous ratio of 1:1, and pay attention to feed supplements to ensure that this ratio is maintained. Table 2 provides an estimate of potential mineral supplementation for stocker calves consuming free-choice bermudagrass hay. † Adapted from Ammerman and others, J. Dairy Science, 1982. Some levels may be somewhat higher or lower than those listed on commercial labels. Many formulations exist and may be appropriate for your management situation. Download a PDF of Mineral Supplementation for Newly Received Stocker Cattle, ANR2322.